Huangshan is one of the most popular and most beautiful destinations in China. Travellers usually get confused by "Huangshan city or Huangshan Mountain" especially reading a lot of travel guide and notes on the internet. 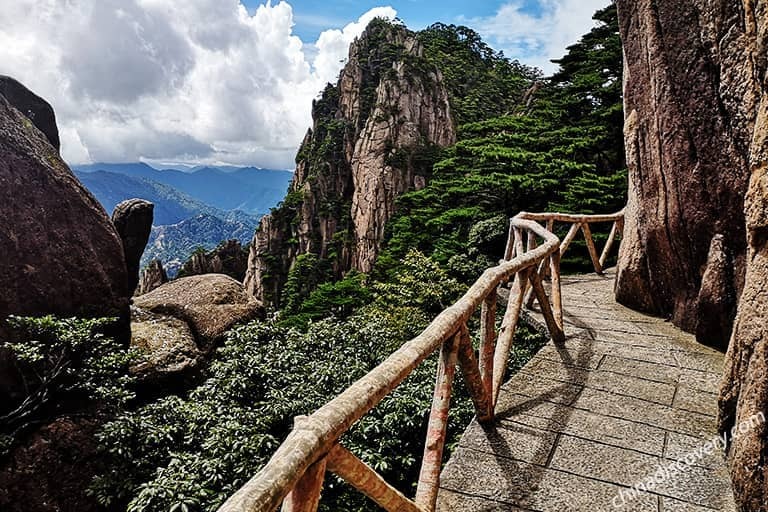 To get it frank and clear, Huangshan Mountain (also known as the Yellow Mountain) is located about 80km north from Huangshan city, and one usually get to Huangshan city first before getting to Huangshan Mountain. All flights and trains take you to Huangshan city first. Huangshan City is a large area, including three districts - Tunxi, Huangshan and Huizhou, 4 counties - Yixian, Shexian, Xiuningxian, Qimenxian, over 1000 towns, and many ancient villages, such as Hongcun, Xidi, Nanping, etc. 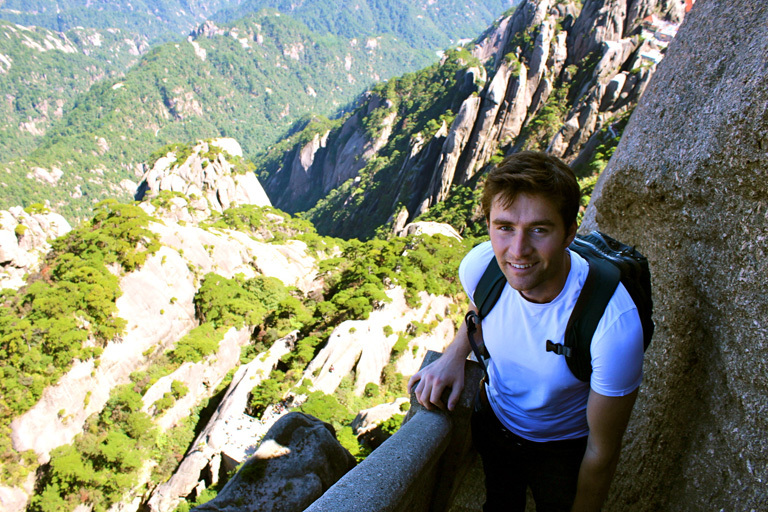 The essence of Huangshan, with no doubt, is Huangshan Mountain, the "loveliest mountain of China". If time allows, it's strongly recommended to visit one or several ancient Huizhou-style villages after your Huangshan Mountain trip. Your Huangshan Yellow Mountain trip will be much more interesting if you cover one or two recommended activities into your itinerary, such as enjoying a leisure mountain hiking, biking through ancient villages, pick tea along the road to Yellow Mountain, etc. Don't hesitage to discuss with our travel consultants if you need a tailor-made tour. Mount Huangshan is full of things to see, and travelers are suggested to make a good plan before the final trip, such as choosing the best time to visit, right itinerary to take, suitable hotels to stay in, etc. Generally speaking, you can visit Mount Huangshan in every season and get different sightseeing. But our suggestion is to avoid the weekends (Friday and Saturday) and the Chinese Holidays, such as New Year Festival, Labor Days, National Days, etc. 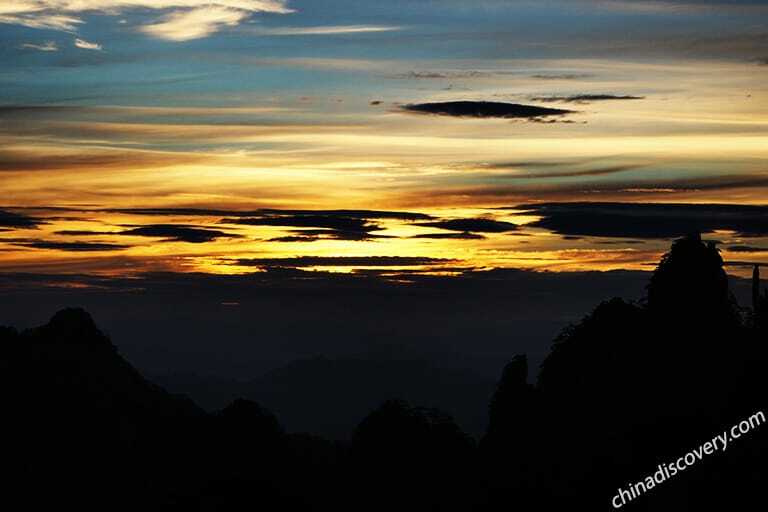 Yellow Mountain is located in Huangshan District, about 80km from Huangshan City. Travellers usually get to Huangshan city first by by flight, bullet train or bus, then transfer to the foot area of Yellow Mountain. Take the cable car up/down can save your time and energy for the highlights scenery. There are totally 3 cableways located in different gates/entrance to up and down mountain area, including Yungu Cable Car, Yuping Cable Car and Taiping Cable Car. Currently there are only 7 hotels on the top of Yellow Mountain. They are located at different regions. When choosing hotel, you have to consider the hotel location (perfect for watching sunrise or not, reachable or not), price and amenities. Here we have provided you with the latest maps of the location, transportation, tourist sights, and hotels of Huangshan/Yellow Mountain. All of them are downloadable and printable. Remember that travel light and take useful items as much as possible is the most important principle of packing ideas for a Huangshan hiking tour. Read our Packing List to get clear about what you should pack before setting out. 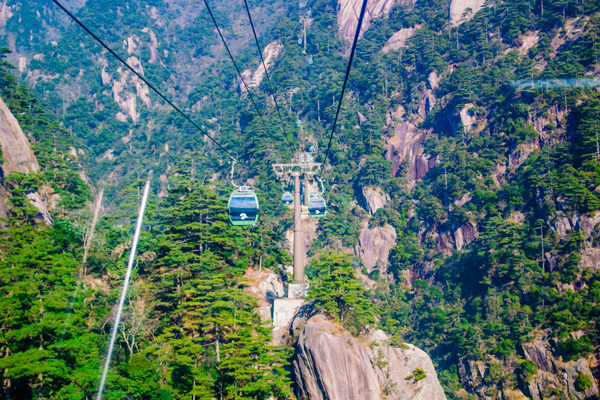 This article has explained why is it expensive to travel Huangshan, and listed the ticket prices of Huangshan Mountain and the 4 cable cars, and other items you may spend money on, such as the hotels, meals, sedan chair and porter service. There are many cities especially cities in southeastern China operate daily high speed trains to Huangshan, including Shanghai (4 hrs and 44 mins), Hangzhou (3 hrs and 38 mins), Xiamen (4~4.5hrs), Guangzhou (7hrs), Beijing (6hrs), Jinan (3.5~5.5hrs), Tianjin (around 5.5 hrs), Hefei (1 hr and 40 mins), Fuzhou (2.5 hrs), Mount Wuyi (1.5 hrs), etc. 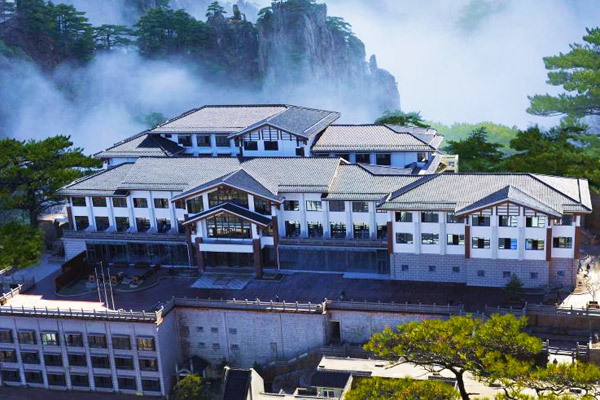 It's very convenient to transfer around Huangshan city as most attractions, including Yellow Mountain, Hongcun, Xidi, etc., are located not very far from Huangshan City. There are daily buses running to each attraction from downtown. You are suggested to take our Huangshan tour packages which have covered transfers, sightseeing, tour guide, hotels, to ensure more enjoyable trip. Huangshan Mountain is divided into Front Mountain and Back Mountain. You can get to the mountain top area (Bright Top) from both Front Mountain and Back Mountain. After Huangshan Mountain Hiking, you can add some featured activities to your trip, such as the World Heritage Sites - Hongcun and Xidi, Bishan Pig's Inn, Farming Work Experience, biking, etc. You can customize according to your days, energy condition and interest, basically for one day, two days or three days. Below are our travel experts’ handpicked top 8 Huangshan Mountain tour packages for you to enjoy an fun and relaxing vacation in Huangshan.